Crocheting is such a favorite pastime of many. If you don’t knit or crochet, you are really missing out on some of the most fun and relaxing hours that you could spend. 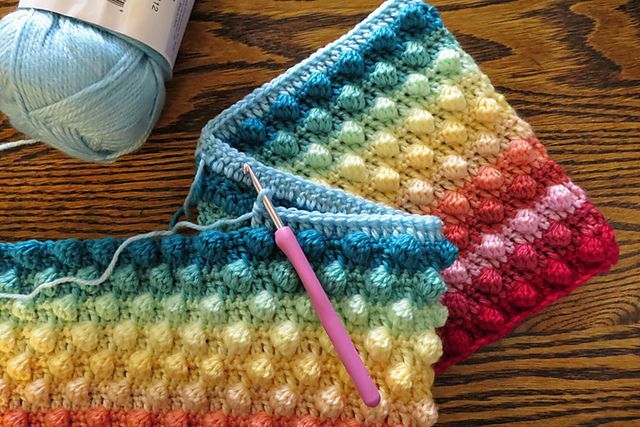 I don’t crochet like a pro but I am definitely working on my skills, and these easy blanket patterns are perfect for brushing up on everything from basic granny squares to more complicated v-stitches. Whether you’re an avid crocheter or you’ve just started, you can easily make most of the blankets on this list. There are so many wonderful colors – of course you can always choose your own colors – and designs. Many of the patterns can also easily be altered so if you need something larger or smaller, just figure out the additional stitches. 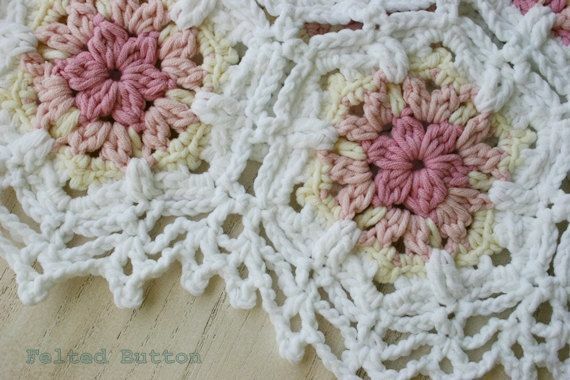 Also, be sure to check out these 100 free crochet patterns for beginners. There are so many wonderful things in here that you can make – many of which will pair nicely with your new blanket. Crocheting is such a wonderful skill. It’s also a skill that is not too difficult to learn and once you do, you have an endless supply of personal handmade gifts for all of your loved ones. Try out some of these amazing patterns and see for yourself just how easy they are to complete. Let me know which ones you try – I’m always excited to hear how your projects are going! 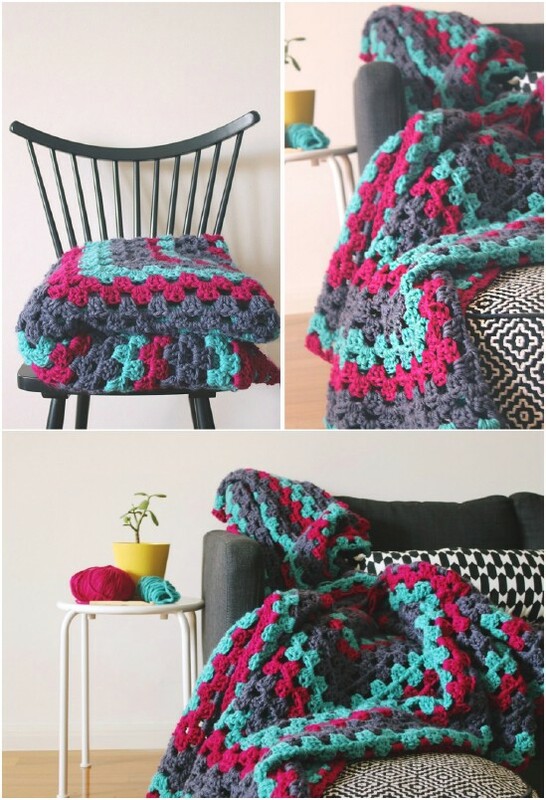 This gorgeous afghan can easily be crocheted in a number of sizes. 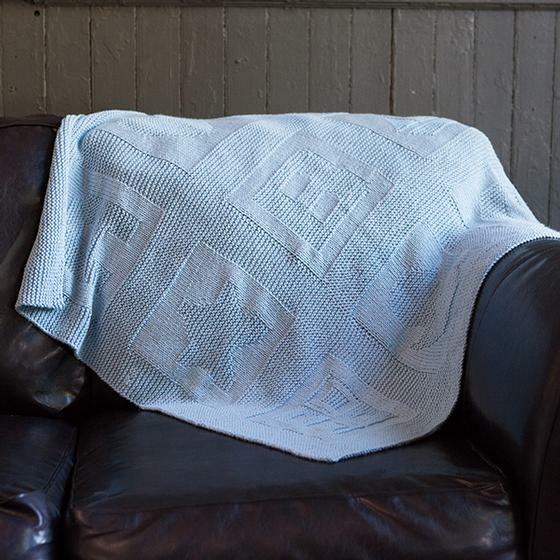 You could use the pattern for a baby blanket or a king sized throw – whatever size you need. I love all the different colors and there are pattern sizes available for any size that you would need. Plus, this gives you the opportunity to work with different colors on the same project, so if you haven’t done that, this is an easy pattern to learn. 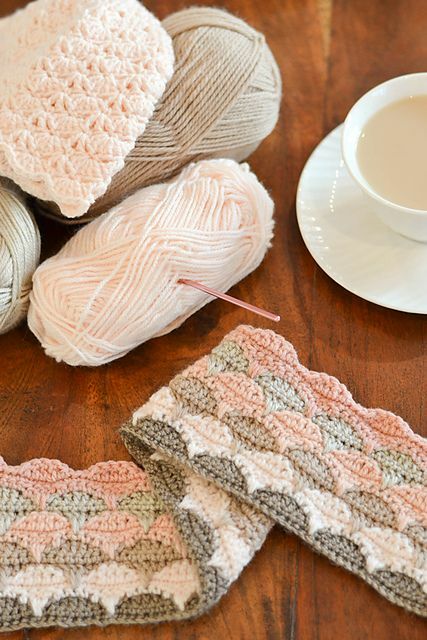 This blanket has a beautiful lace look to it that is much easier to create than you may think. You use weight yarn and a large hook for this one – 15 mm to be exact – so it works up really quickly. The finished product makes a gorgeous throw and you can learn the feather and fan stitches that are very popular. 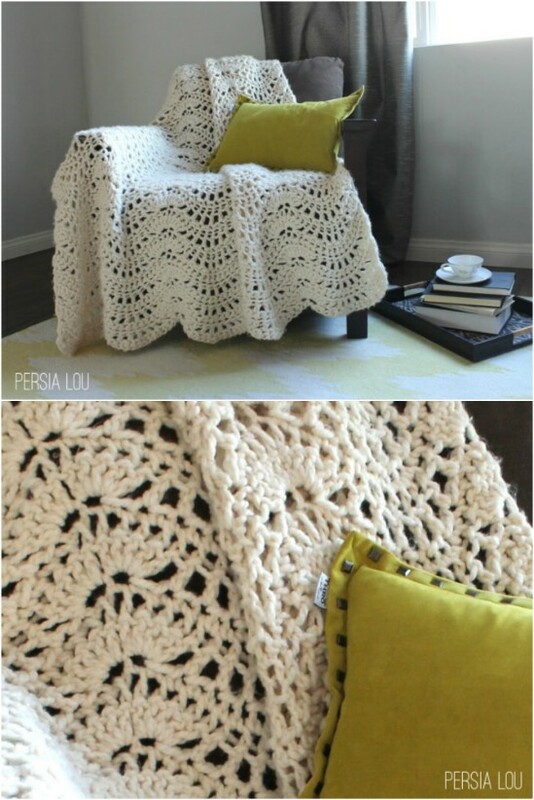 This gorgeous clamshell blanket is a bit trickier than others but so worth the effort. You can use the pattern for larger blankets or baby blankets as well as cushions and just about anything else you want to create that has this lovely clamshell pattern. 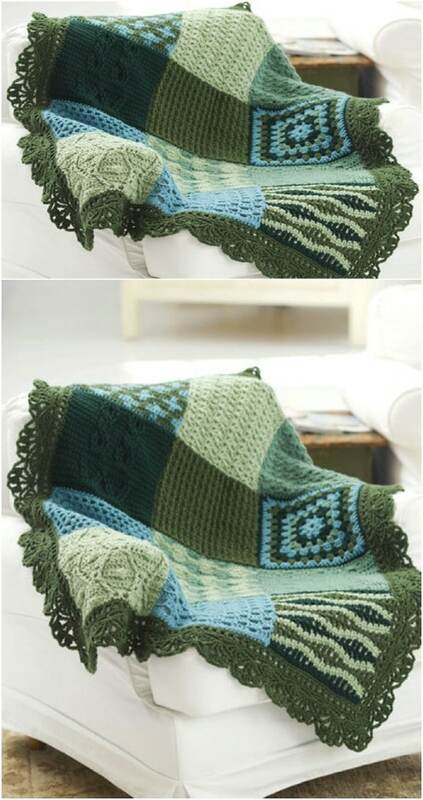 This is such a traditional looking blanket and it would be the perfect throw for those chilly winter nights. This lovely little blanket is perfect for anyone you know who is expecting. Why purchase store bought baby blankets when you can easily crochet one yourself? The design is so elegant and beautiful and it’s a really easy pattern to follow. The scalloped edge is really gorgeous, too and you could easily adjust this for size if you wanted to make something big larger. This hexa puff quilt is absolutely stunning. The colors along with the design make it perfect for giving or keeping for yourself as a nice throw. The pattern is for a baby sized quilt, which would also be perfect for a lapghan or you could adjust the size if you want to make it a bit larger. I love the pattern itself with those puffs of color. It’s just a gorgeous piece no matter what size you make. I love the idea of crocheting this ABC afghan to give as a gift at a baby shower. Who wouldn’t just love having this? It’s a block quilt that has the alphabet in the blocks and there’s a heart that you can put in the empty blocks. I think doing this in different colors per line would be gorgeous, especially if you know the gender of the baby so you can alternate colors for him or her or just use neutral colors. This swirl blanket is certainly unique and makes the perfect throw for the back of your tea sipping and reading chair. This one is really easy, too. Once you set up with the center, you just have to repeat the same step over and over until you reach the length that you want. It’s easy to adjust to whatever length you need, and it’s one of the most gorgeous blanket patterns I’ve seen. I love sampler patterns. This afghan really resembles a quilt with its blocks of different colors and designs. It’s pretty simple to create, too since you’re working with the blocks. I even love the blues and greens used in this one, although you could use pink and blue to make it a baby afghan or whatever colors you need. Sampler patterns give you the opportunity to work with a number of different stiches so they’re great for practice. Here’s another beautiful sampler pattern that lets you create a wonderful throw. I love the bold colors used in this one but again, use whatever colors you need. I really like these sampler patterns because you can try out so many stitches that maybe you haven’t done before so you get to practice and practice some more, making you perfect for those more difficult projects you may want to try. This pattern is for a baby blanket, but you could also use this team blanket for those cold nights at the stadium. It’s an easy pattern and you incorporate the colors of your favorite team. Whether you enjoy football or baseball – both of which are played outside during colder weather – you will love having this little blanket along to help keep you warm on those windy nights.